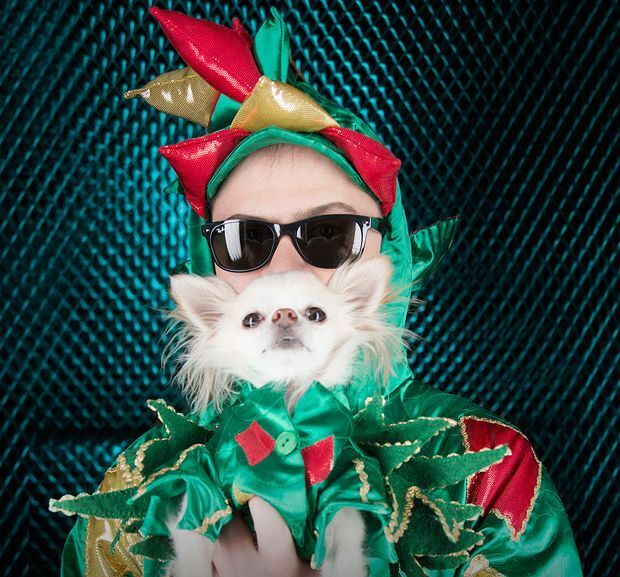 Fresh from appearing on America’s Got Talent (where he won over an initially sceptical Howard Stern), Vegas-based Londoner John van der Put brings us some eye-wateringly delightful tricks alongside his unbearably cute doggy sidekick, Mr Piffles. Underbelly’s Circus Hub, 0844 545 8252, 14–29 Aug, 10.40pm, £12.50–£13.50 (£11.50–£12.50). It’s hard to see the image of a brain in a frying pan (à la Henry’s poster) without thinking of poor Ray Liotta eating his own matter in Hannibal. Fear not, though, only mind-blowing trickery will be at play here. ‘A mix of Rowan Atkinson and my ironmonger’ once stated Stephen Fry. Pretty sure this is meant as a compliment. Pleasance Dome, 556 6550, 8–31 Aug (not 18), 4pm, £7.50–£10 (£6.50–£9). Previews 5–7 Aug, £6. A seasoned Fringe campaigner with his mind-reading antics, Antoniou has performed his ‘comedium’ stuff for clients including Disney and Kerrang!. A mixed audience for sure. Apex International Hotel, 243 3596, 8–30 Aug, 7.35pm, £7 (£6). Previews 6 & 7 Aug, £5. Cheers will be heard and tears will be shed as the Edinburgh trio make their last ever appearance together after several years of colourfully hamming it up. Gavin, Colin and Kevin do their impressive comedically magic thing one more time. Gilded Balloon, 622 6552, 14 Aug, 10.30pm, £15. Meech is the place where ‘science and magic collide’ and so you may well be treated to tricks about time travel, parallel universes and advanced technologies. It’s not Paul Daniels is what we’re saying. Mash House, 226 0000, 8–17 Aug, 2.40pm, £10 (£9; family ticket £34). Previews 6 & 7 Aug, £5.